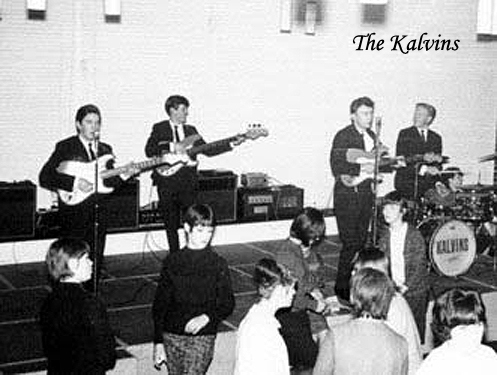 The Kalvins came into being in the late 50’s when Dennis Trowbridge, Tony Endean, Tony Jowett and a couple of others (whose names I forget) got together to mess around with guitars…. 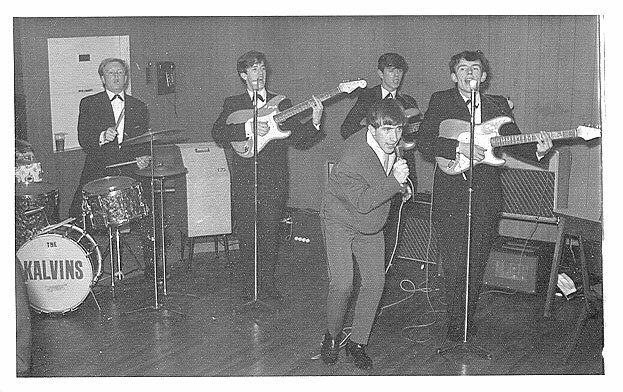 Within a few months only Tony Endean myself were left so we recruited a couple of other guys… George on Rhythm and Terry Popple on drums and started to do a few gigs. 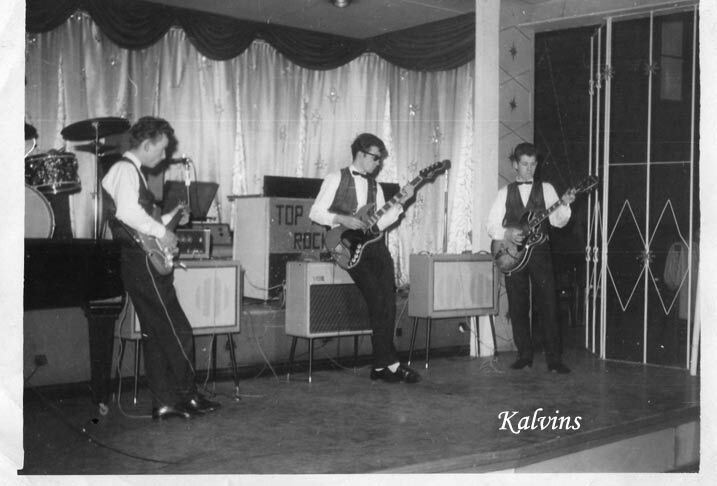 The very first was at a nursing home in Guisborough, I think most of the residents were deaf but they still clapped!! The guys did try to talk me into going back but I refused.. I was a stubborn old beggar! 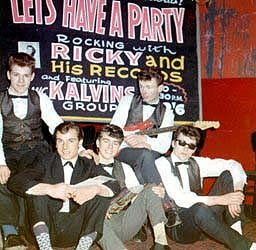 Later that year I got married (1966) and sold my red Fender Stratocaster back to Hamilton’s music store for a mere £80, which I used to buy a half set of golf clubs. I never touched a guitar for more than 30 years, when my daughter said she wanted to learn. That was easy, she needed a Fender Stratocaster… she ended up with a red Squire Strat, that we still have. She never did learn to play, but I really enjoyed myself. I recently got a mini Vox Valvetronix amp together with a brilliant digital echo and started playing some old Shadows stuff. 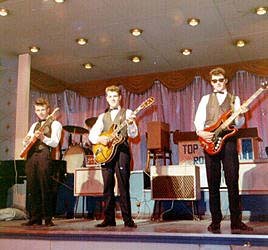 Just about to get hold of a ’62 re-issue Japanese Fender Strat and sell the squire. 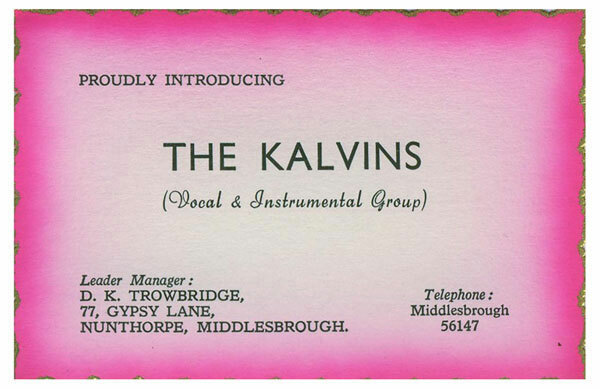 I put the Kalvins on our family web site http://homepages.nildram.co.uk/~trobo/ and have had lots of emails from old fans and old group members, most notably Ian Morrison and Les Bennett.